Our weekly trip to the grocery store. When we grocery shop the choices are endless, packaged, processed, canned, frozen, fresh, non-GMO, organic, etc. The reality is some of these choices come with a much higher price tag than others. As we walk through the store and add more and more items to our cart it does not take long to blow our budget. Our grocery bill is an extremely important investment because, what we put in our cart is what ends up in our fridge and ultimately in our body. There are many ways we can save money and time, buying bargain food is not a good one. Relying on cheap, quick and convenient foods is a dangerous path and one I see many, many people on. When we don’t spend the money and time to invest in our grocery bill, and ultimately our health, the long term consequences far outweigh the short term benefits. What we feed our bodies is what fuels our bodies and often this connection is overlooked, especially when it comes to small children. Junk in = junk out. Feeding our bodies junk leads to low energy levels, improper nutrition and ultimately long term struggles with weight and chronic diseases. 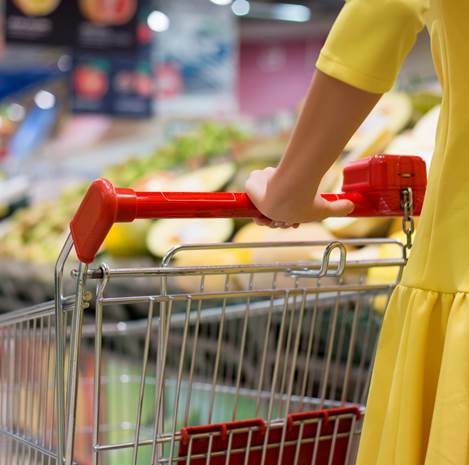 Think about how much you spend on your grocery bill each week and how much extra you would have to invest to buy more healthy foods and take the time to prepare more meals yourself, where would the trade-off be? Could you cut-out your daily visit to Starbucks? Instead of spending an hour watching Netflix tonight could you prepare dinner for tomorrow night so you have something ready to go when you get home at 6:00 and everyone is starving? As a new mom I know firsthand there are a lot of new expenses and a lot less time. Looking for ways to save money is always important and feeding a family can become very costly, very quickly, but this does not mean that the quality of your food should sacrifice. I never cheap out on my grocery bill and I always find time to make sure the food we are eating is fresh and home cooked. Does this happen 100 per cent of the time? Well I’m not Superwoman so no, but the majority of the time yes, and the reward is my health and the health of my family. Do you believe in the importance of investing in your grocery bill? What are some of the ways that you save so that you do have extra grocery money? How do you find time to cook? I would love to hear how you have been able make the investment into your health.